Boomerang Aborinal Size 45 cm. 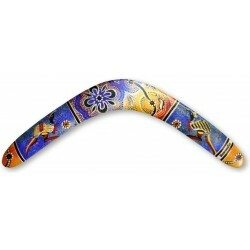 The Aboriginal boomerang is made from high quality wood. All our boomerangs are guaranteed in real operation.